Two men have been arrested on suspicion of assault in Sheffield. Broomhall officers arrested the men on Friday night on suspicion of assaulting a member of door staff, and one later fought against police. 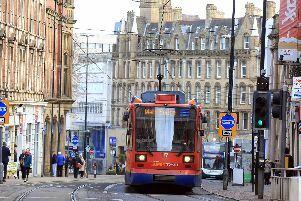 A spokesperson for the Sheffield Central Neighbourhood Policing team said: “Thankfully many had an enjoyable night out, except for two males arrested on suspicion of assaulting a member of door staff. “Both suspected to be heavily on drink or drugs.